While most Americans look forward to retirement- many are finding their expectations caught between the need to finance their non-working years and the harsh realities of just how difficult it is to maintain their standard of living. While it’s been long known that retirees may struggle to qualify to purchase or refinance a home being on a fixed income, now many find themselves challenged to meet the requirements of the federally-insured reverse mortgage. 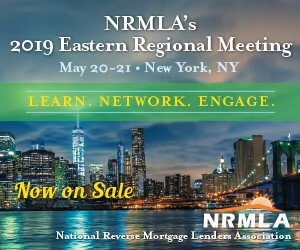 Reductions in loan proceeds, Financial Assessment underwriting guidelines, and a reduced interest rate floor have caught many between a proverbial catch-22. Even those who have saved hundreds of thousands of dollars are unable to qualify for a traditional refinance or home equity line of credit being unable to meet the monthly income required. To qualify these individuals are faced with having to liquidate a portion of their investments that would otherwise continue to grow in value. The only proprietary reverse mortgages I know of are Jumbo. Is there something I’m missing? No. However homeowners with higher-valued properties have found themselves unable to get a HECM in some instances. On the traditional side asset-rich and ‘income-poor’ homeowners may find proprietary reverse mortgages easier to qualify for than traditional mortgage financing. Before fiscal 2009, there was a reverse mortgage product offered by Fannie Mae. It was very, very competitive to the HECM but normally the PL was greater with a HECM, meaning the HECM was usually what the borrower selected. What about now? I am not aware of any mortgage product comparable to the HECM.